It was my fifth trip to Penang and I had fun hunting for food. I have my favourite Penang food that I would never grow sick of eating. Penang food is sold in Singapore but they taste different. 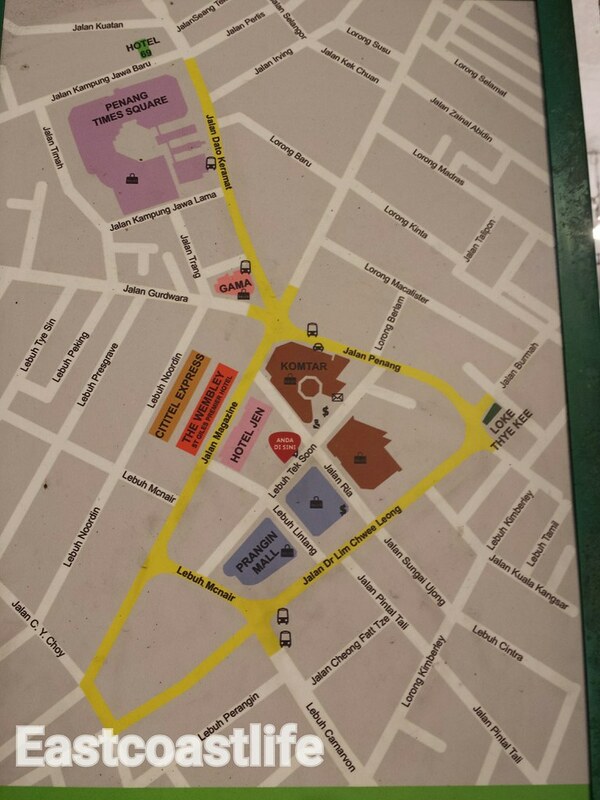 On this trip, we were staying on Lebuh Presgrave which is within walking distance to many good food and my favourite hawker stalls. 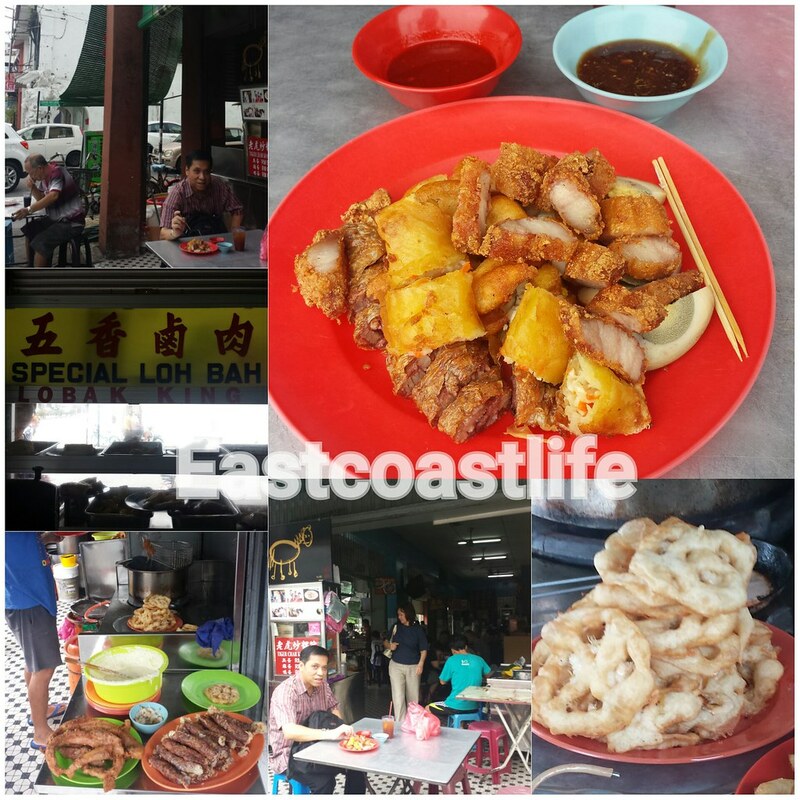 My Penang friends recommended some new hawker stalls in that area for me to check them out too. We walked a lot, and even climbed hills, after eating to burn off the calories. I miss Penang loh bak (five-spice pork roll) very much when I was in Singapore. I went to Ping Hooi coffee shop on Lebuh Carnarvon as soon as I could to satiate my cravings of loh bak and Hokkien Prawn mee. 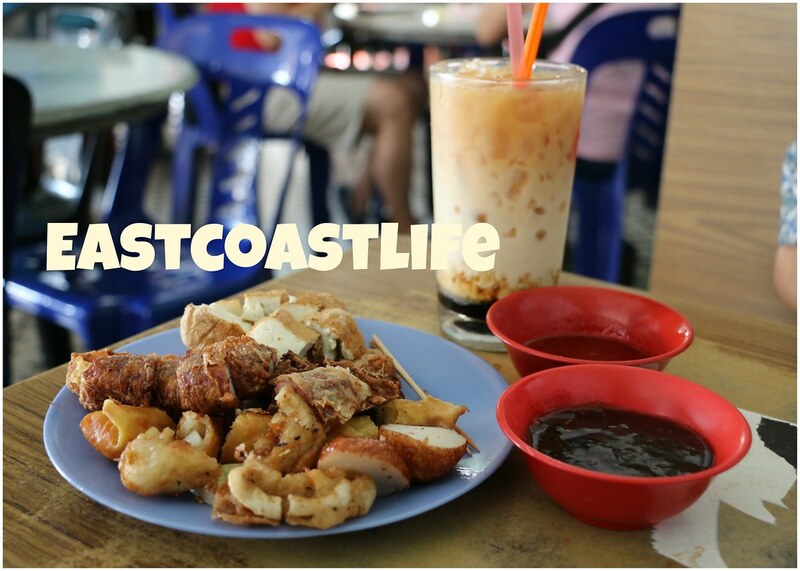 The loh bak stall sells an assortment of deep-fried pork, beancurd, braised egg, prawn rolls, battered fish and squid. One early morning, I had the battered fish which is really tasty. It's usually sold out in the afternoon. Freshly cut cucumber is served as a side with starchy braised sauce and chilli sauce. I ate loh bak for two consecutive days at the same coffee shop. Like this old coffee shop which has one side of the wall lined with wooden cubicles. Hard to get a table as it is always crowded during breakfast and lunch. We also have several choices of noodle at Ping Hooi : char kway teow (fried flat rice noodles), the starchy loh mee (braised pork noodle) and spicy Hokkien prawn mee. Besides their thick and aromatic Hainan coffee, we like their 3-colour milk tea and iced nutmeg drink. Do you cook any of these dishes at home. Maybe once in while could you share some of these recipes. I cook some of these dishes at home. I will share the recipes when I cook them. They are delicious.